Engaging in awful skin care habits can damage your skin. Always ensure that you use the right skin care product to make your skin look and appear the best it can be. These 4 awful skin care habits listed below are bad and dangerous for your skin. You must do everything possible to break away from them instantly, except you don’t care the effects it has on your skin, health and general well being. Sunscreen is essential for your skin. Not using sunscreen every day is one among the most awful skincare habits you need to break away from instantly. There are a lot of benefits inherent in the application of sunscreen every day. The rate of skin cancer is on the rise and can be caused by the dangerous effects of sun on the skin. You can prevent the possibility of suffering from skin cancer if you care for your skin with sunscreen. Skin cancer is one of the main types of cancer that can be averted. 90% of non-melanoma skin cancer is contacted through excessive exposure to sunlight. Applying sunscreen therefore will help you to do away with the situation. Another good reason why you need to use sunscreen is to get rid of fine lines and wrinkles. 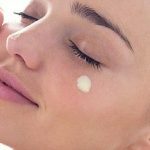 Dermatologists and estheticians advised people to avoid awful skin care habits of not protecting the skin from the effect of the sun through the use of sunscreen. Study conducted in Australia confirmed that thorough use of sunscreen retards the development of wrinkles and drooping skin. It is recommended to use sunscreen with a minimum SPF 30. As long as you apply the sunscreen every 2 hours when you are out and about under the sun, you should be okay. There is no need to go for SPF 100. When you explode or pick the pimples on your face you tend to increase the number of breakouts. This is among the awful skin care habits which need to stop immediately. It complicates your acne issue and makes your face looking patchy. It is definitely too tempting to squeeze and pop pimple but it is better to defy that temptation. The reason is that if you squeeze of pick your pimple, the acne causing bacteria on your skin is pushed downward inside your skin making the infection worst. You definitely to make use of a few skin care products on day to day basis but extra care must be taken not to overdo it. Excessive use of skin care products harms our skin instead of helping it. Good example is exfoliation. Exfoliation of the skin is good but when you do it too much you make your face to turn sore and reddish resulting to irritation of the skin. To avoid this ensure that the skin care products you use for exfoliation are not too strong. Using very strong products for exfoliation or doing it every so often is an awful skin care habits. You need to avoid it by all means if you desire a healthier looking skin. Using wrong cosmetic products on your skin is awful skin care habits you need to immediately stay away from. Your skin won’t look and feel the best when you use wrong product for it. If you have a dry skin, you must make use of products meant for people with dry skin. If on the other hands, you have oily skin, try to make use of products meant for people for oily skin. This ensures that your skin is taken good and appropriate care of. The solution to this is to discover what types of skin care products are good for your skin. It is awful skin care habits to jump into the use of a product because your friends are using it or due to the fact that you see a celebrity that testified to its effectiveness on her skin. Your skin and their skin may not be same. Moisturizer is meant for people who have dry skin. 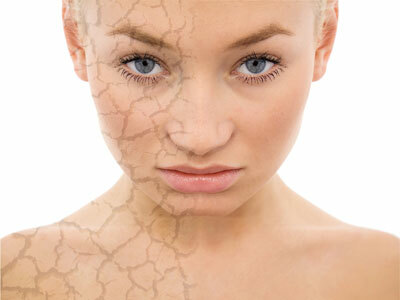 Going for a moisturizer when you have oily skin can block the oil pores on your skin and lead to breakout of acnes. Do all you can to discover what skin care products are perfect for your skin and always stick to them. 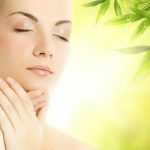 If you are unsure of the best skin care products for your skin type it is better to seek the services of an esthetician. 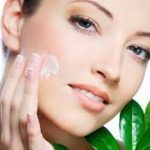 The best thing you can do for your skin is do away with these awful skin care habits here and now!